An unforgettable message is given by Bill Geringswald in his book tackling political policy, education and environmental issues - as well as calling for a spiritual awakening. Florida based Bill Geringswald attempts to alter our current cycle of societal mayhem with his work, Infinite Possibilities – A Spiritual Awakening. In it, he offers a progressive ‘big picture’ overview of our ‘cause and effect’ results we have secured during the past few decades. His book calls for the nation to work with God and to recognise what we could be individually, nationally and globally. The world we are currently experiencing is far from what was intended by the population who began with such gusto and brave determination and Infinite Possibilities – A Spiritual Awakening provides a visionary proposal for remediation. Geringswald says, “Infinite Possibilities – A Spiritual Awakening lays out a step-by-step process to transform the chaos of the world into empowering with practical applications for repair.” He says that Infinite Possibilities – A Spiritual Awakening is not a religious work, but a highly spiritual one. As a nation, Americans are aware we have to make some serious decisions. What used to work with normal efficiency is in process of being destroyed – fast. Today, the nation is imploding with anarchy on the city streets. Domestic terrorism, once unheard of, is quickly becoming a weekly occurrence with mass shootings now systematic in their efficiency and devastation. The political system is falling apart with the leadership at loggerheads. Today our debt is quickly approaching 20 trillion dollars with another 27 trillion dollars coming down the pike. Infinite Possibilities – A Spiritual Awakening asks, do you care about the future we are leaving to our children? It also poses the question, should we get out of our own way and honor God’s loving intent for the remediation? If so, will we find this action provides the answer to all we ever need? If there was ever a time where individuals needed their hearts and vision to surface this is it. America is in deep trouble and far beyond a political fix. 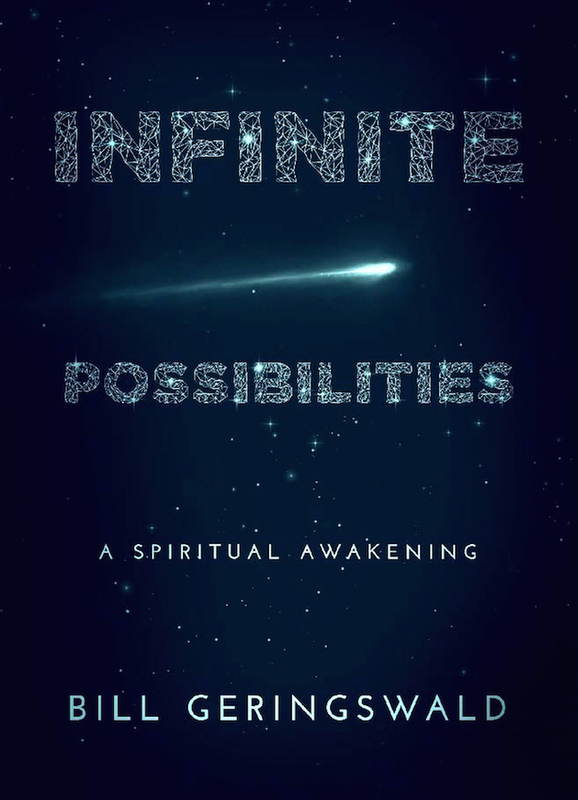 Infinite Possibilities – A Spiritual Awakening goes deep into all the answers we will ever need.